But as time went on, more houses were built and were being pre-sold to increasing numbers of investors as well as retirees. Then the real estate downturn happened. 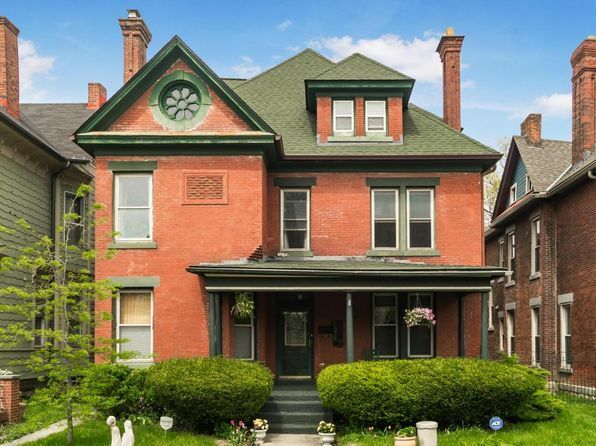 Today, there is such an oversupply of houses in Columbus, OH relative to the demand. Most investors who have purchased houses in the last year or two cannot expect to sell them immediately for any profit. Instead, they will be lucky to take a small loss on the sale. What was a profitable strategy only four years ago has become a very un-profitable strategy simply because of a change in the supply-demand ratio. This made it relatively easy for investors working the older inner-city neighborhoods. Because of the strong demand from young buyers, property appreciation was strong. This made it easier for investors to profit by selling rehabbed properties to affluent owner-occupants who wanted to avoid a long commute from the suburbs. But today, several years after the collapse of the technology boom, there is less demand for inner-city housing. Therefore, property values have begun to drop as much as 15 to 20% in many inner-city neighborhoods as a result. Property wholesalers in Columbus, OH have suffered significant losses due to the combination of inflated purchase prices and sagging demand. These two factors have made it difficult to generate decent profit spreads for the past couple of years. The above is the reason why it’s important to check the supply and demand situation in a neighborhood or marketplace you are interested in investing.